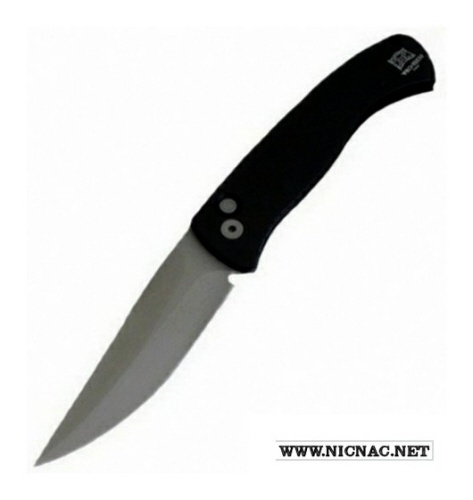 Protech Brend 2 Auto Knife. The Protech Brend 2 automatic knife is the small Brend auto with a 59RC 2.9" blade that is .110" thick and an overall open length of 6.6". Closed this great pocket carry automatic knife is 3.7", .40" thick and .80" wide, made of T6-6061 Anodized Aluminum and weighs in at an average of 1.9 ounces with a great variety of handle choices shown here. The Small Brend Auto comes with a pocket clip and is the smallest version of Walter Brend's famous "Model 1" Blade Shape in a small package. Get yours today!